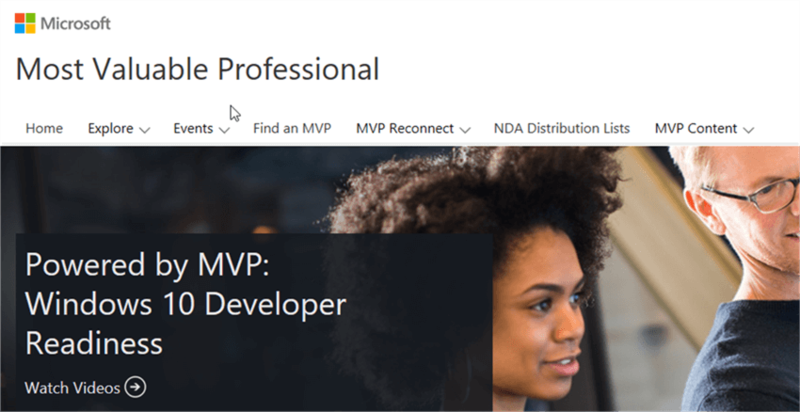 I have heard about Microsoft MVPs and I would like more information about the MVP program for SQL Server and other Microsoft related technologies. 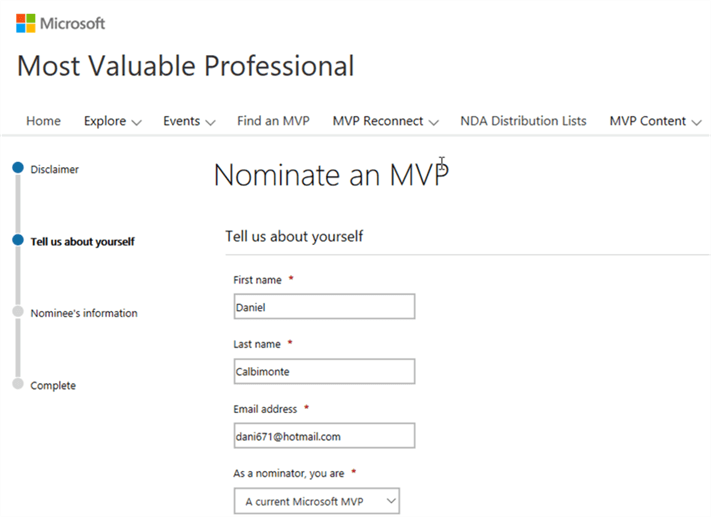 Can you answer some questions about the MVP award? Can you help me get started? I have always dreamed of becoming an MVP. In this tip we will explain what an MVP is, how to become an MVP, benefits, activities and more. 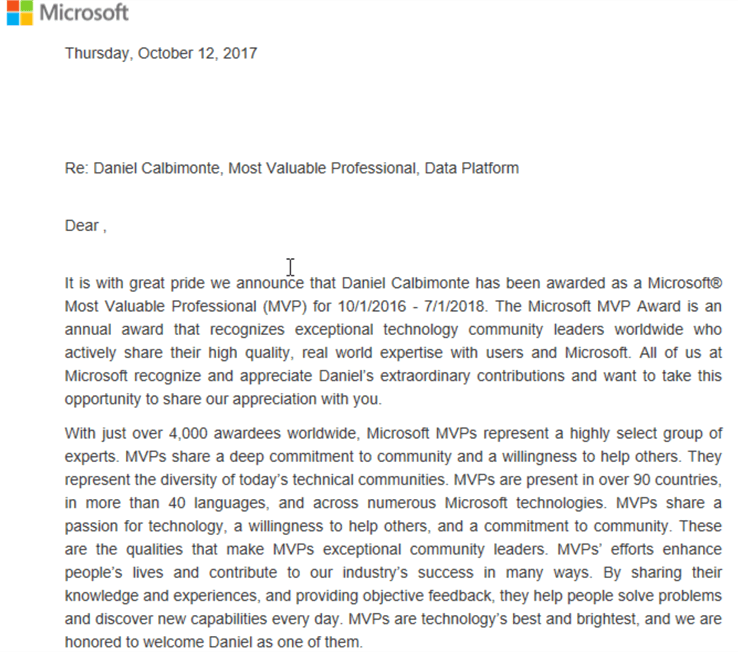 MVP is an acronym for Microsoft Most Valuable Professional. Microsoft provides this award to outstanding professionals in the world that contribute significantly to the technology community. Where can I find a MVP? How can I become a MVP? There are several ways to become a MVP, but it is all about your participation and giving back. Some of the things you can do are: speak at conferences, speak at user groups, write books, write articles, write for magazines, write white papers, write blogs, create videos, participate in forums, present at webcasts, get involved in open-source projects, etc. One thing to note: you cannot work for Microsoft and you must be 18 years old or older. Also, you cannot be a government official either. Note: most of the links on the page do not usually work with Google Chrome, so it is recommended to use Internet Explorer or Edge. 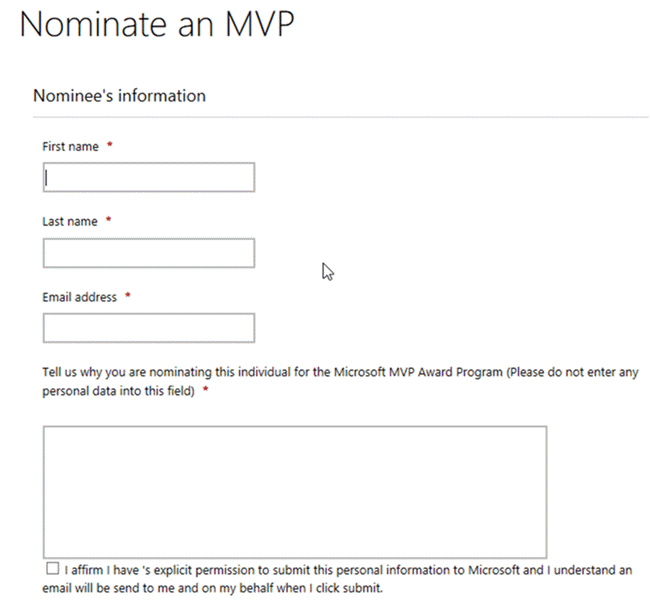 No, you need to apply each year and update your activities on the Microsoft Web Site to renew the award. Also, it is not guaranteed you will get the award each year, so you need to continue to participate and contribute. 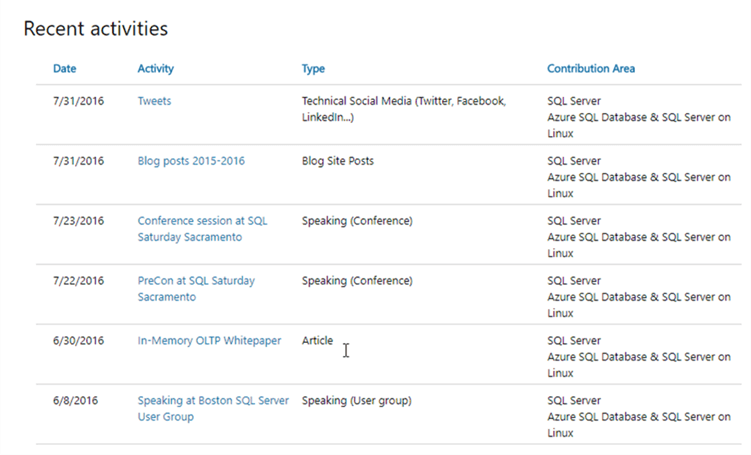 Who are the MSSQLTips.com SQL Server MVPs? When we wrote this article, there were more than 400 MVPs for the Data Platform (this is what it is called for SQL Server). You can check out information on the MVP website using the following URL. What can I do on the MVP Website? You can check-out videos, events, nominate someone as a MVP, register your activities, join the NDA Distribution Lists where you will have access to exclusive information about different technologies, find MVPs, check opportunities and benefits. 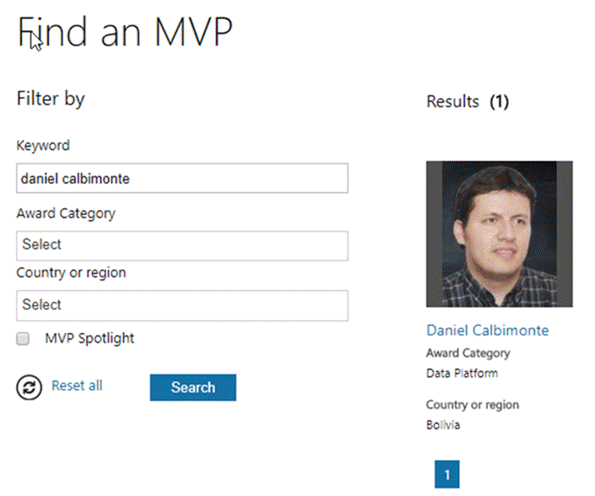 Where can I register my MVP Activities? What are the MVP benefits? A recognition letter. You will get a letter like the following. Access to the official MVP logo that you can use to signify the award. 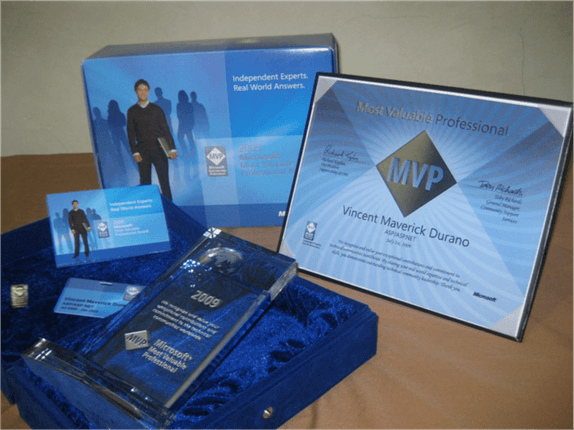 Access to the MVP Award kit. Access to code for some Microsoft products (to some of the MVPs). Access to Xamarin University with access to Xamarin courses (C# for Android, Azure and other mobile technologies). Extended Azure Credit benefit (if eligible, you can have access to $1000 in credit for Azure technologies). LinkedIn extensions, which will give you access to the LinkedIn learning platform, LinkedIn Premium, material to promote courses, videos and gain visibility. A subscription of Visual Studio Enterprise with MSDN that includes several other benefits inside. There are free licenses or a 1 year subscription for third party tools like AOMEI, ApexSQL, Apowersoft, Axialis, AzureDocKit, CData Software, Cerebrata, Codealike, CodeTwo, DevExpress, Devart, Devolutions, Digicert, Docker, ESET, Exceptionless, Experts Exchange, First Floor Software, Gooroo, IBV Solutions, Infragistics, JetBrains, Kanbo, Lepide, Metalogix, MyGet, Nurgo Software, Octopus, Ozcode, Pexip, Pluralsight, RedGate, Royal Applications, Sourcetrail, Stellar, Synfusion, TechSmith, Telerik, TypeMock, Veeam, Visual Assist X. 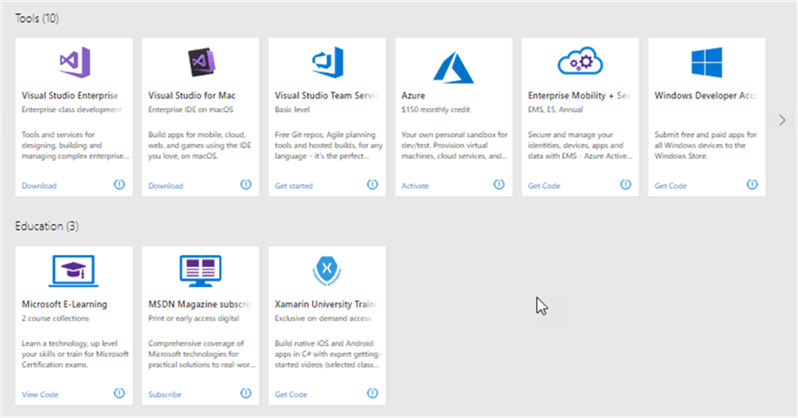 What are the Visual Studio Enterprise MSDN benefits? In the Visual Studio Subscription, you have access to any Microsoft software and product keys. Access to Visual Studio Enterprise and Visual Studio for Mac. You also have access to Azure with a credit of $150 per month. You also have access to Enterprise Mobility Security to handle identities for mobile devices. The Windows Developer Account gives you access to publish for free and paid applications in the Windows Store. It is possible to have access to E-Learning, access to the MSDN Magazine and Xamarin University. As you can see, becoming a MVP is a fascinating recognition. If you have more questions, feel free to write your comments below.